A sweeping tale of love and loss, Girl in a Blue Dress is both an intimate peek at the woman who was behind one of literatures most esteemed men and a fascinating rumination on marriage that will resonate across centuries. At the end of her life, Catherine, the cast-off wife of Charles Dickens, gave the letters she had received from her husband to their daughter Kate, asking her to donate them to the British Museum, so the world may know that he loved me once. The incredible vulnerability and heartache evident beneath the surface of this remark inspired Gaynor Arnold to write Girl in a Blue Dress, a dazzling debut novel inspired by the life of this tragic yet devoted woman. Arnold brings the spirit of Catherine Dickens to life in the form of Dorothea Dodo Gibsona woman who is doomed to live in the shadow of her husband, Alfred, the most celebrated author in the Victorian world. The story opens on the day of Alfreds funeral. Dorothea is not among the throngs in attendance when The One and Only is laid to rest. Her mourning must take place within the walls of her modest apartment, a parting gift from Alfred as he ushered her out of their shared home and his life more than a decade earlier. Even her own children, save her outspoken daughter Kitty, are not there to offer her comfortthey were poisoned against her when Alfred publicly declared her an unfit wife and mother. Though she refuses to don the proper mourning attire, Dodo cannot bring herself to demonize her late husband, something that comes all too easily to Kitty. Instead, she reflects on their time togethertheir clandestine and passionate courtship, when he was a force of nature and she a willing follower; and the salad days of their marriage, before too many children sapped her vitality and his interest. She uncovers the frighteningly hypnotic power of the celebrity author she married. Now liberated from his hold on her, Dodo finds the courage to face her adult children, the sister who betrayed her, and the charming actress who claimed her husbands love and left her heart aching. A sweeping tale of love and loss that was long-listed for both the Man Booker Prize and the Orange Prize, Girl in a Blue Dress is both an intimate peek at the woman who was behind one of literatures most esteemed men and a fascinating rumination on marriage that will resonate across centuries. My husbands funeral is today. And Im sitting here alone in my upstairs room while half of London follows him to his grave. black dress in a black carriage listening to the sound of muffled hooves and the agonized weeping of thousands. And most of all, I couldnt have borne to see Alfred boxed up in that dreadful fashion. Even today, I cannot believe that he will never again make a comical face, or laugh immoderately at some joke, or racket about in his old facetious way. Longlisted for both the Man Booker Prize and the Orange Prize, Gaynor Arnold's Girl in a Blue Dress is an intimate peek at a woman who was behind one of literature's most esteemed men.This guide is meant to help your reading group in its discussion of this remarkable novel. Arnold titled her novel Girl in a Blue Dress, yet for most of the book, Dorothea is a grown woman. Why did the author choose this title? In what ways does Dorothea's growth from a girl to a woman affect the narrative? Freshman novelist Gaynor Arnold exquisitely manages to imbue a story that takes place more than 150 years ago with a ripped-from-today’s-headlines texture, while simultaneously hurtling readers headlong into the heart and soul of Victorian womanhood... Thank you, Gaynor Arnold, for one fine novel. (Reviewed by Donna Chavez). If you can manage to overlook Dorothea’s anachronistic, out-of-character, self-empowerment, “Girl in a Blue Dress’’ is an entertaining attempt to imagine an aspect of Dickens’s private life that remains something of a mystery. [A]n engrossing if occasionally languorous meditation on marriage, womanhood, genius and grief, all played out in a teeming milieu of characters drawn from life and literature. A fine work of imagination and compassion that offers up other ways for us to understand a popular genius and those who loved him. Arnold’s knowledge of Dickens is impeccable, and she uses fiction to give Mrs. D. what she never had – a chance to interview her husband's mistress and reclaim her beloved children. Beautifully written, entirely satisfying. Fabulously indulgent . . . a lovely, rich evocation of the period that rises above the faintly damning 'historical fiction' label with its complex characterization and silky prose. A neat rendering of a celebrity marriage with all the pressure and expectation that courting fame invites. Arnold's impeccable research paints an entirely different portrait of Dickens than that assumed by readers of his fiction. Arnold's confident debut offers a sympathetic, intensely readable account of the mixed blessings of living with a vast, restless and charismatic talent destined to become a national institution. Starred Review. 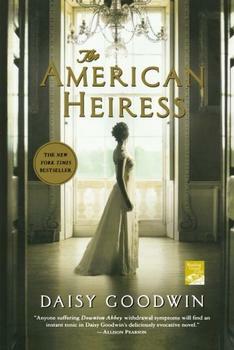 In this impressive debut, Arnold explores the roles of marriage, motherhood, and celebrity in Victorian England. Speaking of fathers, Dorothea Gibsons daughter-in-law says, "They do not become dissolved into parenthood the way we [women] do." Truer words may never have been spoken  at least as far as the 19th Century was concerned. 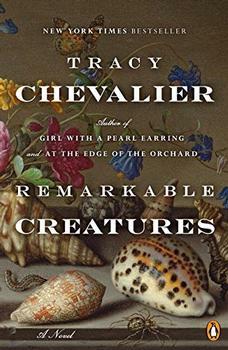 A voyage of discoveries, a meeting of two remarkable women, and an extraordinary time and place enrich bestselling author Tracy Chevalier's enthralling new novel.